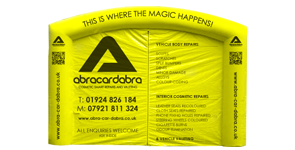 Abracardabra is a family run business, specialising in mobile cosmetic repairs and minor damage. 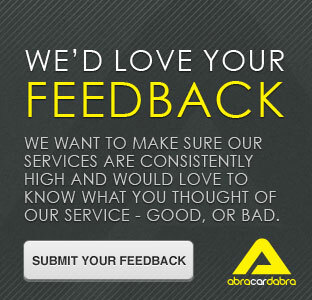 Formerly known as “Accident Solutions”, due to expansion we are now known as Abracardabra. 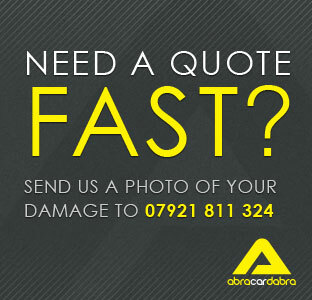 We also cover all aspects of cosmetic and minor repairs to bodywork, wheels and interiors, including leather. We now also offer a full valeting service including odour elimination. 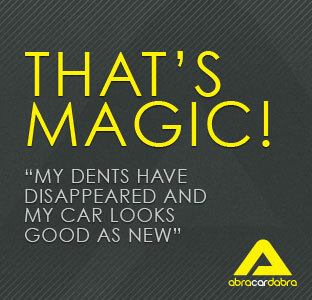 Come rain or shine, we will bring our magic to you! Whatever the weather, our technicians will arrive at your home or place of work with everything they need to carry out the repairs. We’re able to work all year round by cocooning your vehicle in our all weather, purpose built tent, which not only keeps our guys dry, but also prevents dust from being blown onto a freshly painted panel. Pretty smart, hey!